Have you suffered from clinical negligence through a Luton based medical service? Then you could be entitled to make a clinical negligence claim. Trust Legal Expert to provide you with the right clinical negligence solicitor who can handle your case. Call Legal Expert today on 0800 073 8804 for your free consultation, and to see if you have a valid claim and be provided with a top solicitor specialising in these claims who can cover the Luton area. This guide has been created for people making medical or clinical negligence claims in the Luton and Dunstable area, if you live elsewhere in the country then Legal Expert can still provide you with an appropriate solicitor. Why would a Claimant need to make a medical negligence claim against a Luton based medical service provider? Clinical negligence, also known as medical negligence is defined as a patient receiving substandard care from a medical professional and/or institution. This could include a medical mistake, incorrect treatment or a misdiagnosis, which results in the patient becoming ill, injured or experiencing the worsening of a medical condition. If you have experienced medical negligence which resulted in your becoming injured and ill, then you may be entitled to make a clinical negligence claim for compensation. 3). 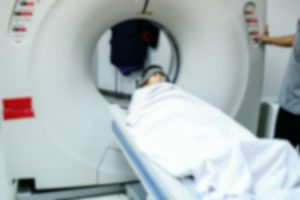 That this negligent action resulted in the Claimant suffering an avoidable accident, which caused you an injury or illness, or worsened an existing condition. Can you claim medical negligence compensation on behalf of a relative, or can you only claim it for yourself? You can legally make a clinical negligence claim on behalf of your next of kin, if they are now deceased or are unable to act on their own behalf, due to being mentally incapacitated. In the UK, most clinical negligence claims made in the UK are subject to a three-year time limit, since the incident of clinical negligence occurred or the Claimant found out that they had been injured by it. Under certain circumstances, medical negligence claims for incidents from over 5 years can still be recognised. If you have suffered medical negligence, finding the right medical negligence law firm to represent you in your clinical negligence claim can make all the difference to whether or not your claim is successful. There are plenty of excellent and experienced negligence solicitors who can cover claims around Luton. However, it can be challenging to find the right one with the skills and expertise to deal with the particular needs of your clinical negligence case. Many people consult online reviews of clinical negligence lawyers in their area, to find the right medical negligence law firm to represent their case. Others speak to friends or family members who have been through a similar orderal, to get trusted recommendations. A trusted legal advisory service like Legal Expert can also be of great help in this area. We treat all our clients on a case-by-case basis and will provide you with the best members of our team covering the wider Luton area solicitors to handle your case. Do I Need to use a Clinical Negligence Solicitor in my Area? If you have suffered medical negligence and want to make a clinical negligence claim, you may think you need to use a clinical negligence solicitor who is based in the same area as yourself. While for many this makes sense, if the right medical negligence law firm to handle your case is based elsewhere in the country then you can still work with them to make your clinical negligence claim. In this day and age digital communications services like email, mobile phones, Skype and other video messaging services mean that you can use a clinical negligence solicitor in your area, or nearby. What Medical or Clinical Negligence Claims Does Legal Expert Handle? If you have experienced medical negligence at a GP surgery, NHS hospital, private hospital, dentist or any at other sorts of medical practice, then you could be legally entitled to claim tens of thousands of pounds of clinical negligence compensation. Below, are some common examples of some of the types of clinical compensation claims that Legal Expert are able to help you with. Let Legal Expert help you claim medical negligence compensation for negligence that you have suffered in either an NHS hospital or a private hospital. If the clinical negligence caused you to suffer a significant injury or the worsening of an existing ailment then we can help you find the right clinical negligence solicitor to represent your case. Legal Expert can help you claim clinical negligence compensation. If you experienced medical negligence in a GP surgery in Luton or elsewhere and were injured as a result, our medical negligence solicitors based across the country can handle your case. Have you experienced medical negligence using an NHS or a private dentist? Whether you were undergoing cosmetic or medical dentistry, let Legal Expert provide you with a clinical negligence solicitor with the experience to win your claim for you. If you have suffered from a cancer misdiagnosis then this can be a devastating experience. Misdiagnosis of cancer, or late diagnosis of cancer and delays your treatment and in some cases can greatly reduce the sufferer’s chances of surviving the disease. We handle medical or clinical negligence claims which are related to cancer misdiagnosis. Contact Legal Expert to help you win the compensation that you deserve. Have you experienced birth negligence? Has this birth negligence resulted in avoidable injuries to the mother, the infant or both? Whether the clinical negligence that happened during childbirth was the fault of the doctor, midwife or nurse Legal Expert can help you make a birth injury claim, to help you get the compensation you’re entitled to. Would you like to know what medical or clinical negligence claims are worth. Use our clinical negligence compensation calculator to give you an estimate of what your claim could be worth. For a more accurate estimation, call Legal Expert to speak to one of our friendly advisors, who could value your clinical negligence claim for you. Your medical negligence claim could be worth tens of thousands of pounds, so call us now to enquire. Suffering injuries, or having an existing medical condition worsened by medical malpractice can result in long-lasting stress. Many victims of clinical negligence also experience a loss of income as a result of their injuries and in addition, incur additional medical expenses. Therefore you may wish to avoid the added stress of having to pay an upfront fee for your case and be reluctant to take a financial risk. Legal Expert works with specialist and professionals solicitors who are able to offer claimants a no win, no fee service. Call us today and if you have a valid case, we will provide you with a clinical negligence solicitor that offers a no win, no fee service. We are Legal Expert a trusted legal advisory service. We provide victims of clinical negligence like yourself to some of the top medical negligence solicitors across the country. Some of the medical negligence solicitors that we work with have over 30 years of experience so you’re guaranteed to be in good hands. Call Legal Expert today, or fill out our online claims form to begin your clinical negligence claim. We’re looking forward to working with you. A complete guide to making a “no win no fee” compensation claim with LegalExpert.co.uk. Help and advice on making compensation claims if you were injured, due to medical negligence, at a hospital, doctor’s surgery, or in another healthcare context.